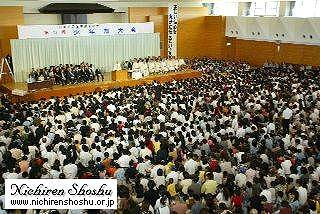 Hokkeko's Childrens Division had the 13th General Meeting at Kofu-bo in the Head Temple Taisekiji from 10:45 a.m. on August 1. 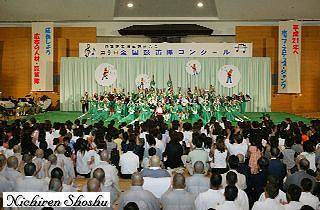 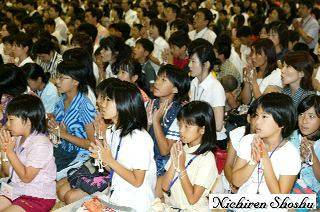 Around 2,300 young Hokkeko members got together with vigor for this occasion from various areas throughout Japan. 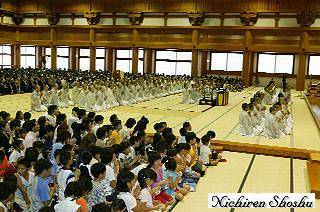 They were fortunate to receive intimate, precious guidance from the High Priest Nikken Shonin.